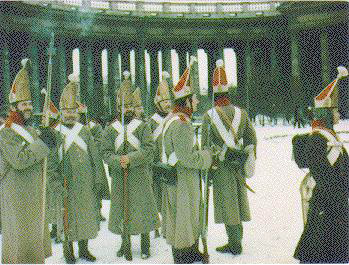 Pavlov Grenadier Regiment in winter overcoats. This famous regiment was the only one to retain their miter caps right up until 1917. They were practically wiped out holding the far left of the Russian defense line.